Implement skills-based routing for maximum efficiency. Administer innovative contact center features. Not every business has a formal contact center, but every business can benefit from contact center functionality. Regardless of the terminology (customer specialist, sales agent, or support representative), your business has a need to route incoming calls efficiently while effectively measuring customer service metrics. Key routing aspects crucial to your business. With ATD, we provide contact center functionality that is very simple to use and extremely impactful in how you track key business metrics. 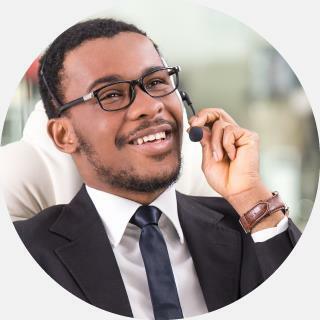 INCOMING CALLS - ATD CloudConnect™ Office provides call center, attendant, and hunt group functionality, allowing a group of users to be addressed by a single number, where both fixed, mobile and VoIP phones can be included. HUNT GROUPS - Both sequential and parallel ringing is supported. For call center groups, skill based routing, automatic agent logout, manager assistance, presence-based call distribution and agent resting time is supported with queues that have group specific greetings and progress messages. 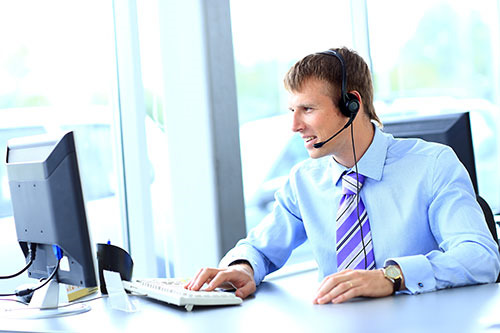 CALL QUEUE AGENTS – Whether your job is to provide customer or sales support, simply log in and out of queues in order to have calls routed to subject matter experts. HOT DESKING – Hot Desking allows you to share phones while keeping the user’s preferred phone configuration settings. Best for drop-in cubes or hourly shift work, hot desking is a simple way to reduce phone volumes. SKILLS BASED ROUTING – Leverage employee skill levels for increased productivity and revenue. Send more calls to your experienced agents and fewer calls to those in training. You can also add an additional prioritization layer based on agent order so you can allow similarly skilled agents to receive calls in round-robin fashion. To ensure a high level of customer satisfaction, hunt groups can be put in place to ensure a caller finds the correct person. Management tools available for call center groups to allow a supervisor to efficiently monitor and manage quotes and metrics. Superior call control can interlace with operations and include applications that enhance efficiency, speed, and effectiveness. or need assistance, send us an email.